DESCRIPTION What a beauty! Having recently undergone a top to bottom renovation this Victorian home offers wonderful accommodation and beautiful views to match. The property sits in a prime location for commuting to the nearby cities of Bristol, Bath and Wells and yet is still surrounded by some of the best countryside views you will find locally. The aforementioned accommodation is made up of magnificent open plan spaces along with well proportioned reception and bedrooms! The ground floor comprises a stunning reception hall which leads to a good sized sitting room with feature fireplace. The reception hall also leads to a fabulous open plan family room, dining room and modern kitchen! This room offers such flexibility in its layout and also boasts a further fireplace in the family room and double doors to the garden from the dining room. 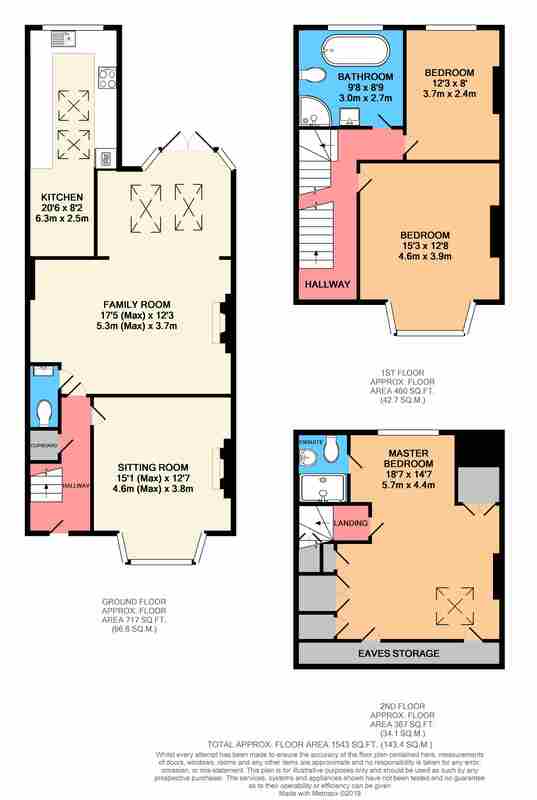 The property boasts three good sized double bedrooms which are positioned over two further floors. Upon the first floor there are two bedrooms, both of which comprise brilliant countryside aspects, the two bedrooms are serviced by a superb four piece family bathroom! The final bedroom is of course the master suite. Benefitting from ample built in wardrobes the room also offers its own ensuite shower room and is large enough to accommodate a seating area to enjoy the previously mentioned views. The gardens at the property run predominantly to the rear. Mainly laid to lawn it also comprises a patio area at the foot of the building which is perfect for entertaining. To the back of the gardens there is a large detached garage and ample off street car parking for multiple vehicles. SITUATION The sought after village of Pensford, in the Bath & North East Somerset country, is approximately 8 miles from Bath with its Roman origins and Georgian architectural and approximately 7 miles south of the city of Bristol. The village has a post office/store, a public house, a small supermarket and a primary school. A wider range of general stores and amenities can be found in the nearby village of Chew Magna with its super selection of shops, pubs and restaurants. The nearby Chew Valley and Blagdon Lakes are notable for their fishing, birdlife, sailing and nature study amenities, and there are plenty of countryside walks close by. The villages in the valley are all unspoilt and each have their individual charm and character. Secondary education is available at the renowned Chew Valley School and at Wellsway School in Keynsham. The M4/M5 motorways are accessible via a link road at Keynsham and Bristol International Airport is within easy reach. An immaculately presented home! Deceptively spacious!